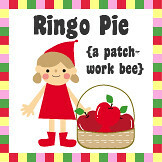 Pink Penguin: Gifts sent and received etc! Gifts sent and received etc! I've missed you all so much! I apologize for my long absence here once again! I have so many things I want to share, so many to the point I am a bit overwhelmed! Of course I have tons of pincushions pics I want to share, but maybe it wouldn't hurt to talk about something other than log cabin pincushions just to give fresh air to this little blog? 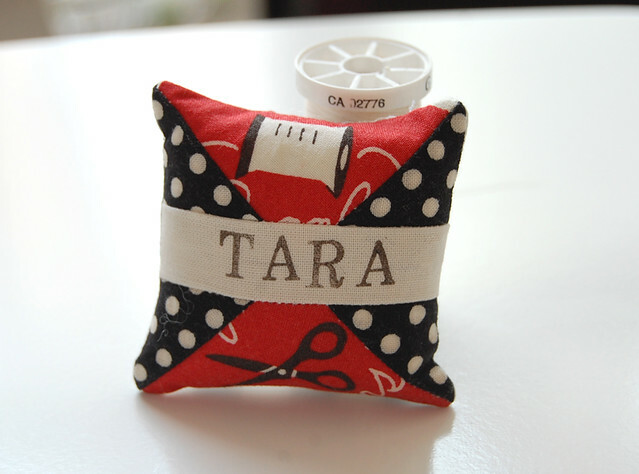 This is a teeny tiny spool pincushion I made for Tara a while back. It made my heart sing to hear from Penny that Tara liked it so much that it is attached to her sewing machine now. I've made several of these pincushions for gifts but this is the only one I didn't forget to take a photo of. 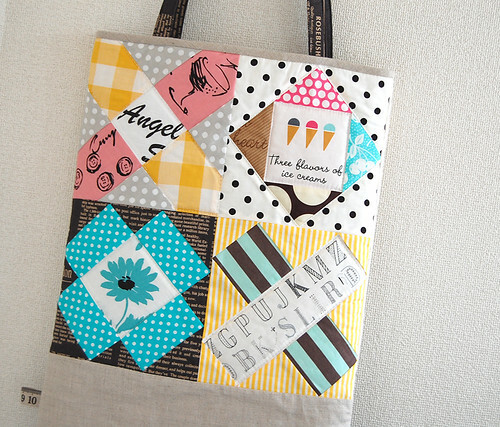 And this is a quilted tote I made for Amy using one of the signature bag patterns in Kumiko Fujita's ABC book. Although this book is out-of-print and is very hard to find, the construction of this tote is quite simple enough for most folks with some bag/purse experience to figure out how to make it pretty easily. I'd like to talk about this bag as a part of Purse Palooza (more about the event in my previous post.) Here are some questions Sara of Sew Sweetness, the lovely host of this fun event, has kindly prepared for us. 1. What materials are needed to make the bag? What type of interfacing did you use? Cotton print, linen, fusible web (for applique), cotton batting, and medium weight interfacing (for handles). 2. What fabrics did you use to make yours? 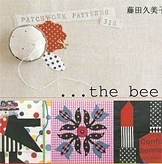 It is a Japanese book, so all the instructions are in Japanese, but just like many Japanese craft books, every instruction has at least a few step-by-step graphics that basically explains the flow well. I enlarged the pattern so that it's good enough for a library tote. I really enjoyed making this bag. Even though I've made this type of quilted totes many times in the past, this instruction called for quite a few things I had never tried before. 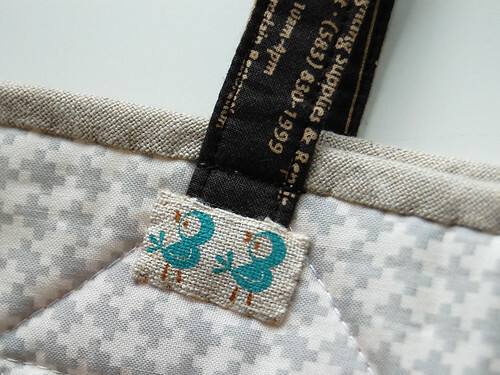 For example, the way handles are sewn right onto the bag like this. You can see the stitching from the exterior. The short edges of the handles were raw when they are sewn to the bag. The raw edges were then to be covered by some fabric. I hand-stitched this linen tape instead to cover up the raw edges. Another thing new to me was that the lining fabric was used to bind the raw edges inside the bag. Basically, your lining is at the finished size plus extra at two side edges. These extra parts are used to cover up the raw edges inside the bag! Clever! I have been terrible at remembering to photograph my hand carved stamps before sending them. Here are three stamps I didn't forget to take a picture. Can you tell I am having so much fun curving stamps? 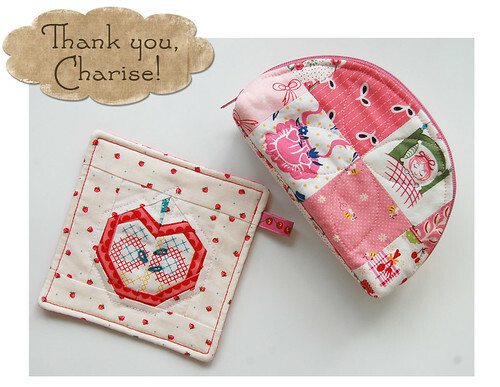 Lastly, I'd like to share with you some handmade lovelies that made my weeks! Doe is too aweome. Period. I am constantly inspired by all her projects, but lately we had a chat about dolly dresses and I told her how much I'd like some of them to hang up on the wall. And look what I found in the mail! I love them so much I could probably eat them no problem! oh ayumi, I love all of these, so amazing. and your stamps are so so cute and perfect. Lovely! Oh Ayumi, sooo many pretties in one post!! 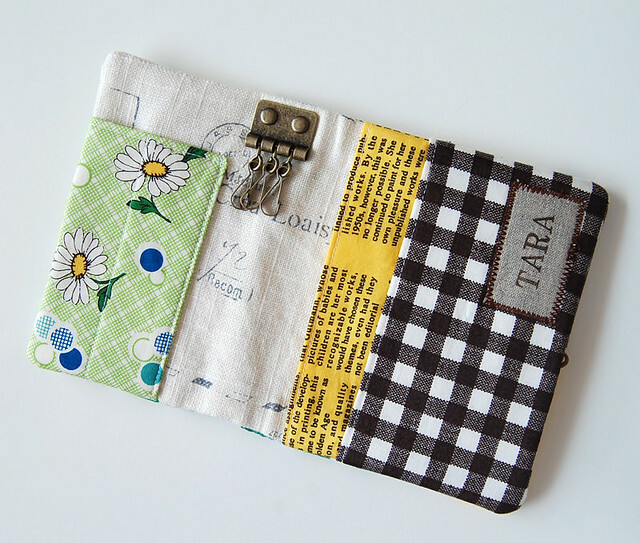 I absolutely adore your leaf potholder, love the bit of hardware in your scrappy organizer. Your tote is simply gorgeous and handcarved stamps too?!! Wow, just wow! Love your hand stamps, you should definitely add a few to your shop !! All of these are Adorable!!! I agree with Leila, what a pretty post! I need to mention again how much I adore my bag! I carry it with me to my Daisy Scout meetings :) Thank you so much for making it for me! So great to "hear" from you! Yopur beautiful work never ceases to amaze me - everything is so fresh and pretty and perfect. What a treat to see so many lovely things all in one place! Wow i"m totally swooning over the leaf pot holder! Busy lady, your work is amazing and so lovely. You have some very lucky friends. What picture treats! I could happily wear each little dress- although they may be a little tight ;) Interesting to see the construction detail on the signature bag, had never noticed that before! So many pretty things! Especially loving the basket and organiser. You must have been so busy recently! Your gifts are adorable, as always! The keychain hardware you used for your organizer is super cool. And I love the linen tape you used on the bag! Such a beautiful swap!! Giving and receiving packages are the best. 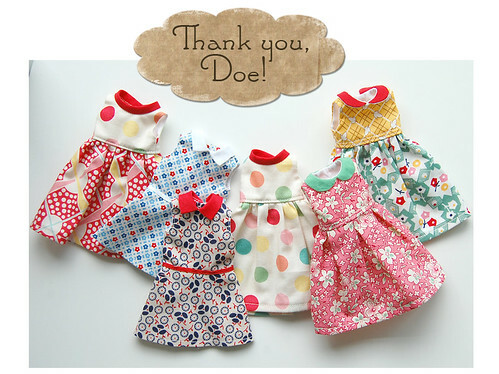 :) I am so in love with Doe's dolly dresses. :) Happy week and love to yoU! Such a lot of neat stuff! The dolly dresses are amazing .. are they Barbie doll size? so cute. The leaf potholder is beautiful! Such a great post with lots of beautiful pictures!! Anyway, I love love love all the things you made. 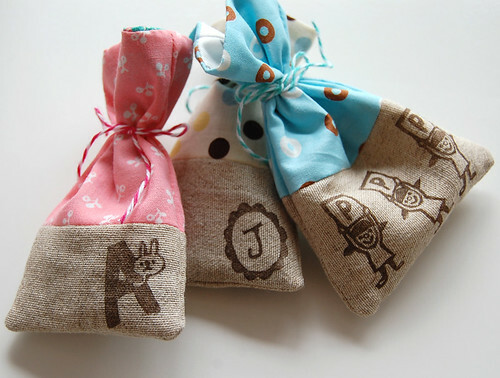 How do I get on the Ayumi list to receive handmade loveliness?? Well, we did have to wait awhile for you to post, but it was so worth it, just like always! Your projects are amazing! Can't believe how great you are at carving stamps, and, as usual, your fabric combinations give me something to aspire to. Ayumi, your gifts are so beautiful and thoughtful! The ones you give as well as the ones you receive. wow, so much to see and read. I love the little dolly dresses best of all. 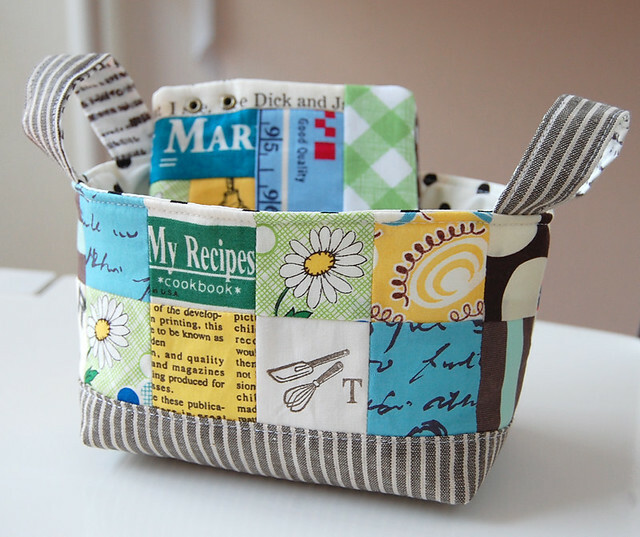 I have three of your little baskets to get made to share with friends on my blog for pay it forward. I need to get that little task done soon! Thank you for sharing the tutorial with us readers so we can make them too! I've made several in the past and everyone loves them! As always, the cutest things ever are found on your blog. Perfect cuteness. What in the world? Everything you make is just incredible. Haha, I LOVE it all. These people that are swapping with you are lucky ducks. And thanks for posting the link to the leaf mug rug, what a cute pattern! I love this leaf potholder, what you did with the original pattern is amazing. It's a real pleasure looking at your work, please don't stop! Oooh, lots of lovely goodies all round there! ALL of your projects are gorgeous!!!!! Definitely wish I had that book!!!! Wow! beautiful gift! This is the kind of post that is definitely worth reading. Thank You for sharing it. I'm completely overwhelmed by all the cuteness in this post! But I especially love that leaf potholder!! Cutest! 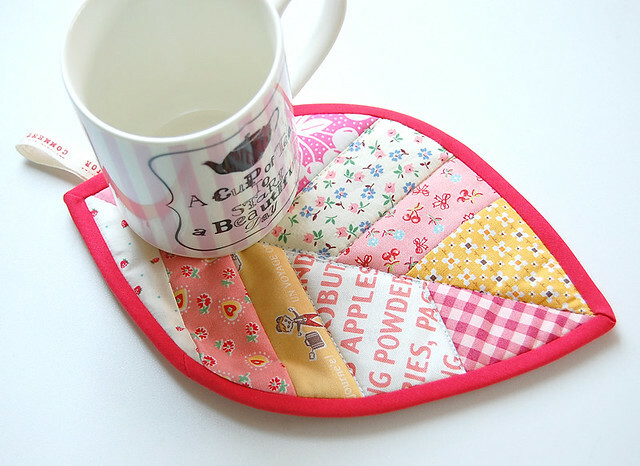 The leaf potholder is sooo cute, have to do! Thanks for inspiring me (again). There is never any shortage of inspiration whenever I visit Pink Penguin. Thanks Ayumi for sharing all of your work with us! 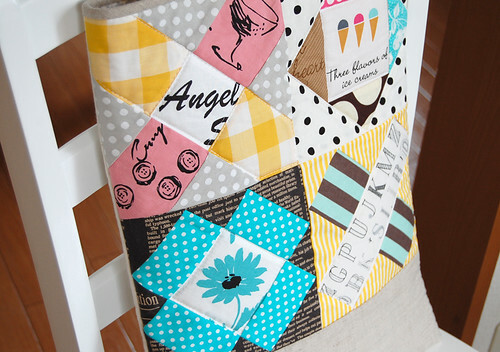 Everything you make is just so fabulous and I love seeing the fabric combinations you choose. 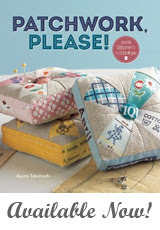 I can't wait...just cannot wait for the day I will meet up with you at the Tokyo Quilt Festival. One day it'll happen!!! In the mean time, I'm anxiously awaiting your you-know-what project :) !! I'm new to your blog and I just wanted to let you know that I love all the amazing projects I've found on your blog! Thank you so much, lovely people! Everything you have shown is just amazing. And because of Charise I have bought the ABC book. Haven't made anything from it yet but I am happier with my cutting and piecing and practice really does sort of make perfect I'm almost there. You are just amazing and I love the bag you made. Thanks for sharing...the dolly dresses are so cute! Love it. I loving your blog, the doll dresses are beautiful. Most unique gift.....a big Japanese urn that looks like it would hold someone's ashes. Thank you so much nice blog post. Thanks for the reminder to examine my heart, jami. Not just in blogging, but also in my daily activities. So thankful for you! Nice gifts collection. I am very Impressed with . Your work hard . Thanks for sharing it's very useful for me. your pictures are very beautiful & your content is very useful for every one. Gifts are very unique and is very beautiful and most popular in the world and people like the gift.